Acclimatizing to low oxygen environments is all about spending more time acclimatizing at the lower end of high altitude. After bringing thousands of people to high altitude we know that spending more time around the 3,500m/11,500 to 4,000m/13,100 feet before moving higher is critical. If you compromise of acclimatizing lower down you run the risk of getting sick higher up above 4,500m/ 15,000 feet. Your safety at high altitude is our priority. It’s recommended that you drink twice as much water as you do at lower altitudes, above 6,000m/ 20,000 ft. the body dehydrates four times quicker. Hydration (drinking 5 to 6 litres of water a day) is one key to success at altitude. Also, you must avoid the dehydration that results from consuming alcohol and caffeine. Potassium is especially helpful to physiological maintenance at greater heights. Eat a diet that includes bananas, potatoes, broccoli, greens, proteins, nuts and dried fruits. Your appetite may decrease as you go to higher altitudes, and it is essential that you eat enough and get in enough calories each day. Being undernourished will certainly compromise your stamina. You should bring multivitamins to supplement your diet at altitude. When you first arrive to the high altitude environment, you should only exercise at a level of about half as much as you did in an oxygen-rich environment, and do so at a slower pace. Try not to push yourself to the point of breathlessness for long periods at altitude is the wrong way to go. A slow and steady pace will aid the acclimatization process. It’s better for conditioning, to slow down and continue moving than it is to stop and take breaks. Gradually increase your distances and this is built into our treks and acclimatization program. We do this on all our trips. You should never be ascending more than 700m/ 2,300 feet on any given day. Keeping jumps in altitude of 500m/ 1,650 feet. This works best. You also need more time spent at 3,500m/ 11,500 feet. We recommend 3 nights at this height for trekking up to 5,500m/ 18,044 feet. You should sleep well and longer when you first experience high altitude. Each time you exercise, be ready to follow it up with a nap. If scheduling allows, have a midday nap every day for the first couple of weeks. If not, get to sleep an hour early to avoid mountain fatigue. The air at higher elevations may also be much drier than what you’re accustomed to. You will dehydrate much faster in drier climates. Higher elevations may deplete moisture from your skin to a painful degree. Use soap with a moisturizer like aloe, and rub lotion all over your skin. Lips and hands will need moisturizing balm applied several times a day. The body will compensate by increasing the breathing rate, heart rate and red blood cell production, allowing for an increase in oxygen flow to the brain and muscles. If you have plenty of time you can adapt within a few weeks. 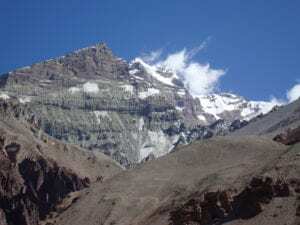 In saying that, the body can not acclimatize fully to altitudes above 4,500m. Once you go above 5,500m your body can not acclimatize, assimilate nutrition and can not survive long term above this height. Above 8,000m the body can only survive a number of days and can have severe consequences. If the body is responding properly to the elevation, normal symptoms such as decreased appetite, increased bladder activity, insomnia, slight swelling of hands, feet or knees, and temporary breathlessness after exercising will occur. However, the effects on the human body in high altitudes that have not had time to acclimate can range from uncomfortable to life threatening. It is important to follow the above information at all costs. This information about acclimatizing to low oxygen environments is so important for anyone going to high altitude above 2,500m/ 8,200ft. Please get in touch with us if you would like more Information about going to altitude.